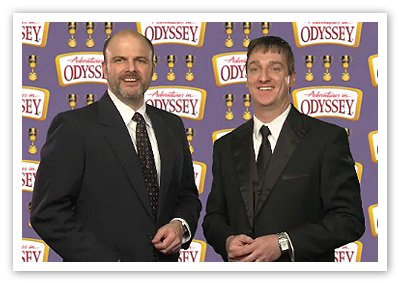 With Album 56, The Grand Design, now behind us, the Odyssey team presents its first video edition of the popular Avery Awards, a semi-annual awards ceremony highlighting performances in the latest Adventures in Odyssey audio package. Bob and Jesse present the awards for Album 56: The Grand Design. The awards include: “Best Actress,” “Best Sound,” “Best Actor,” “Best Script,” “Best Scene,” and “Best Overall Episode”. The awards video features some fun surprises along the way, including new Avery Awards trophies I’m sure we’ll be seeing again in the future. Here at the Scoop, you can also check out other Avery Awards ceremonies of the past, along with final voting results, in our Odyssey Awards feature. We’ll be adding this new addition to the list in the days ahead. Watch the latest edition of the awards ceremony for The Grand Design here. Don’t miss it!